I purchased my Macon 3 months ago and I’m awestruck! 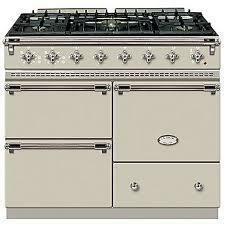 Traditional simmer plate gas hob and 3 electric ovens (one fan). The burners are hot, much quicker than my AGA Masterchef. The simmer plate is incredible, I bring pans to the boil, slide across to the plate and leave them alone. Hob cooking is effortless, so much better than moving pans around over burners and six saucepans on that simmer plate is no problem. I purchased an oven thermometer before I disposed of the Masterchef so I could ‘calibrate’ my baking to the new Lacanche. The 3 ovens are absolutely accurate and I prefer electric ovens now to gas - after 35 years of cooking with gas that’s saying something. 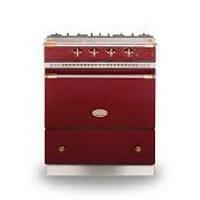 DO NOT hesitate purchasing a Lacanche, huge investment yes, but WOW, you get what you pay for. 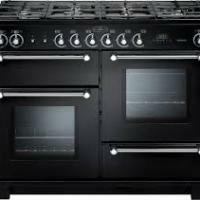 Solid build quality, accurate and responsive cooking and lets face it - a thing of beauty in the kitchen. I cannot believe some of the negative reviews I read before I purchased my Macon. I can only assume these people either can’t cook or expected all cookers to be the same? 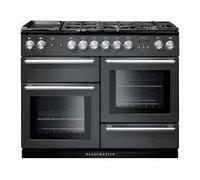 Allow yourself a couple of weeks to get to grips with this beast and you will want no other cooker!